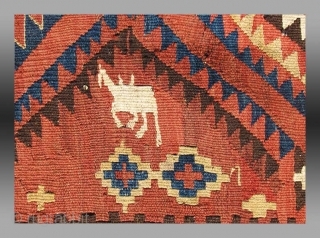 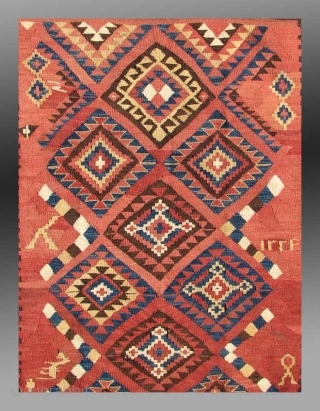 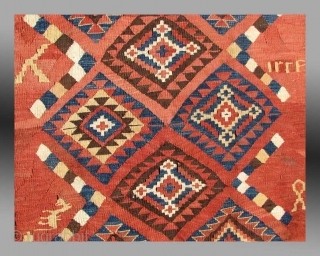 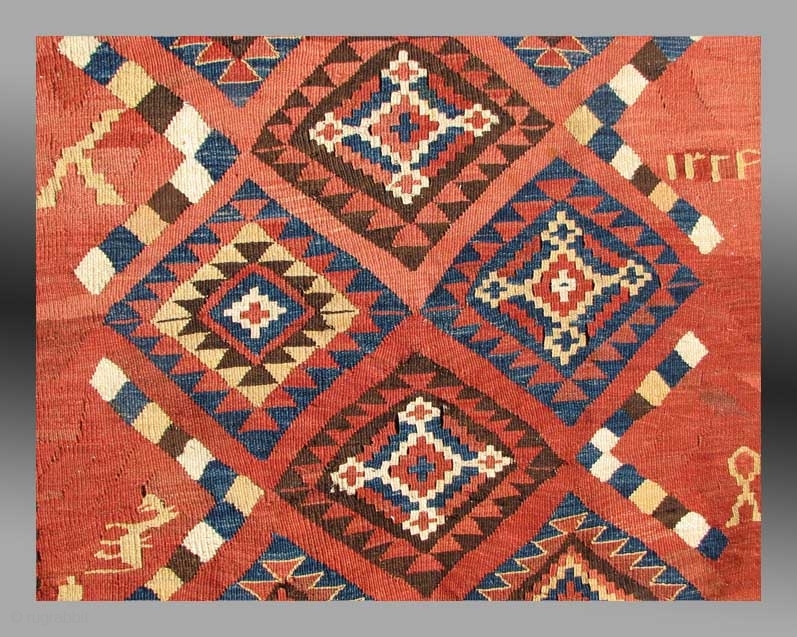 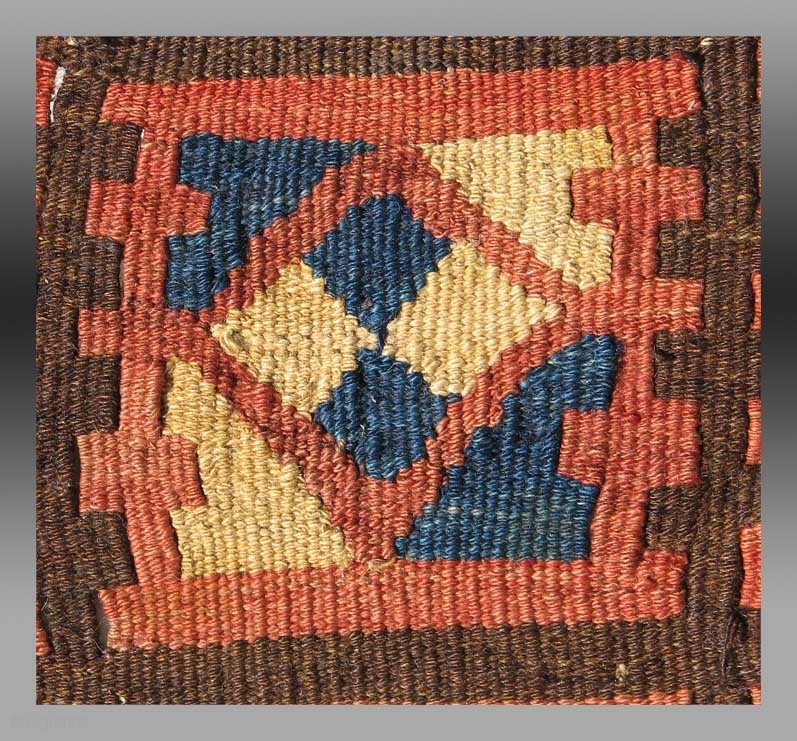 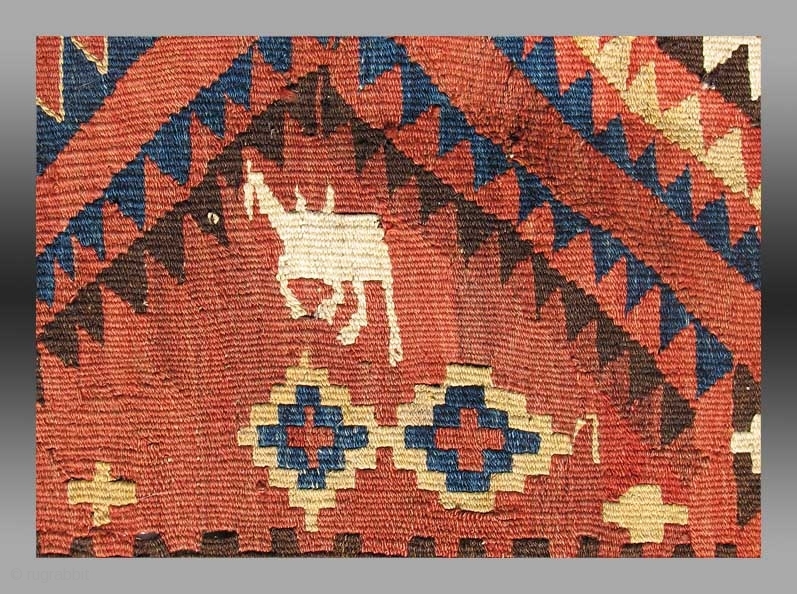 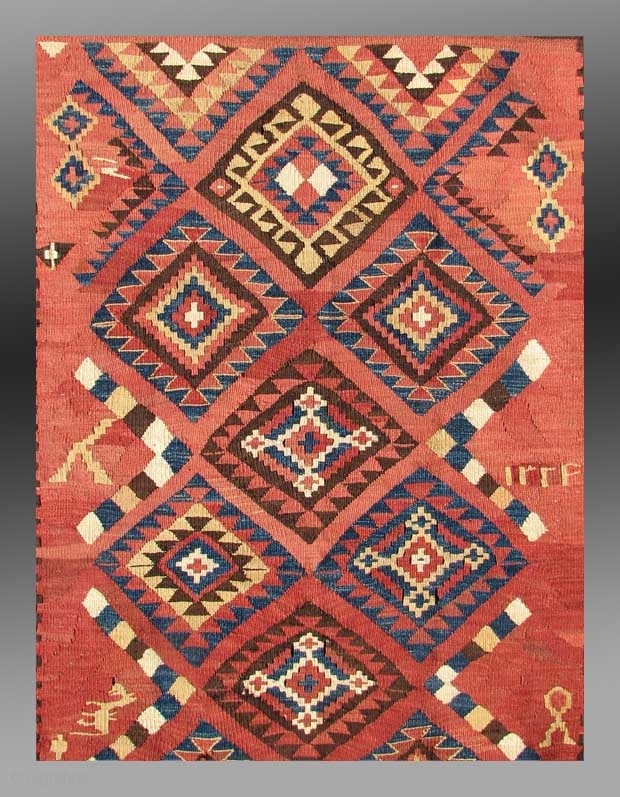 An rare weaving from Afghanistan, a type that is known as "Mokhari" in the Afghan marketplace, named after the marketplace village of Mokhar located between Kandahar and Ghazni. 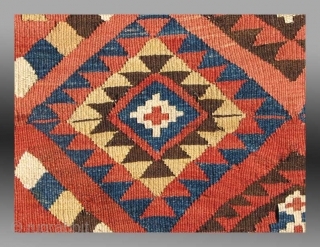 Woven with a slit tapestry weave, and featuring all natural dye with a lovely color contrast. Younger examples of this type tend to be quite dark and murky. 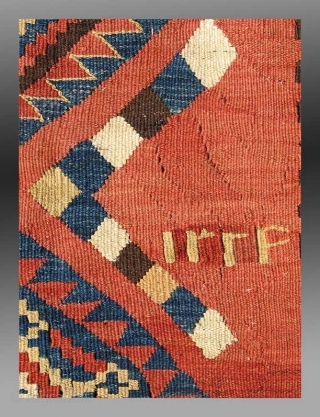 The condition is excellent with no damage or repairs.